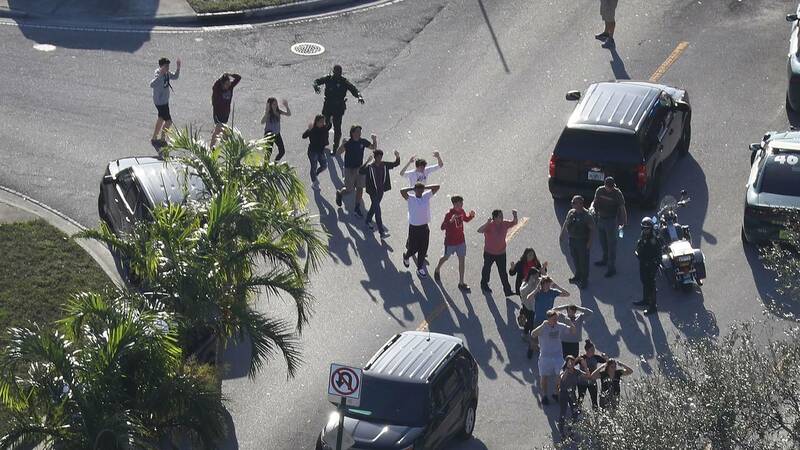 People are brought out of the Marjory Stoneman Douglas High School after a shooting at the school on Feb. 14, 2018, in Parkland, Florida. PARKLAND, Fla. - Marjory Stoneman Douglas High School will remain closed through Wednesday, according to Broward County Public Schools. The school will remain closed Tuesday and Wednesday, the school district said in a news release late Saturday night. School officials said the goal is to allow staff to return to campus by the end of the week. Marjory Stoneman Douglas High School has been closed since 17 people were killed in a mass shooting last Wednesday. Former student Nikolas Cruz, 19, was arrested on 17 counts of premeditated murder and is being held without bond. "Our hearts remain with the victims and families impacted by the Marjory Stoneman Douglas High School tragedy," Broward County Public Schools said in a release. "Across our community, the difficult and emotional recovery process continues, as we struggle to understand this senseless act of violence and find a way to move forward." All district schools and offices are closed Monday for Presidents Day.